I never thought this day would come. After running into multiple issues originally with AC3, I cast it out like a leper, with no interest in picking it back up. Up until AC3, I had completed every game from the Assassins Creed franchise (on 360 anyway) to completion. 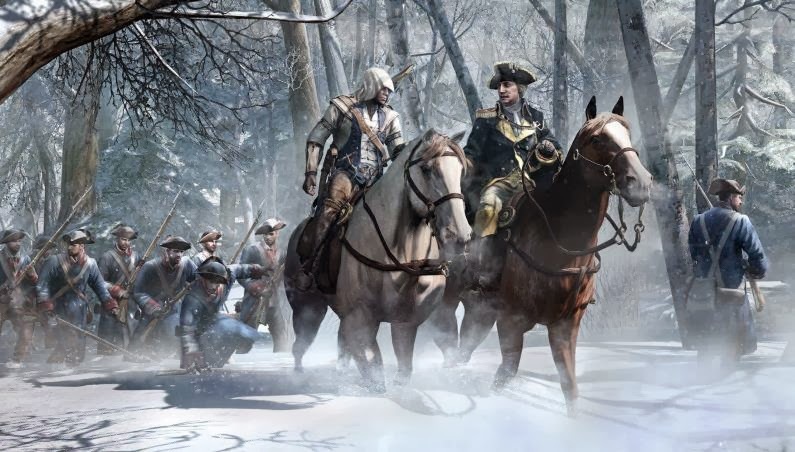 I really enjoyed having all of them completed, but just figured AC3 would be that black mark. Until I played Black Flag. I fell in love with Black Flag. From the environment, storyline, the Jackdaw, Edward, everything. The game was great and I am so close to completing it, but one night while putting the case back on the shelf, I got that guilty feeling. 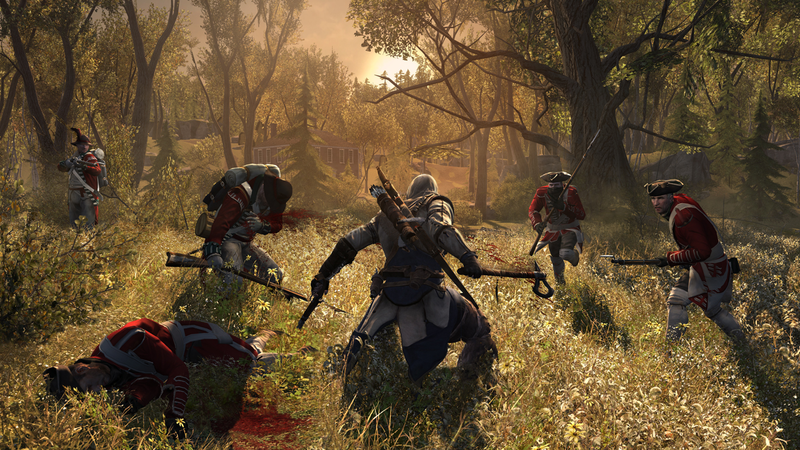 My eyes passed AC3 and I thought to myself "Was I too harsh on it?" 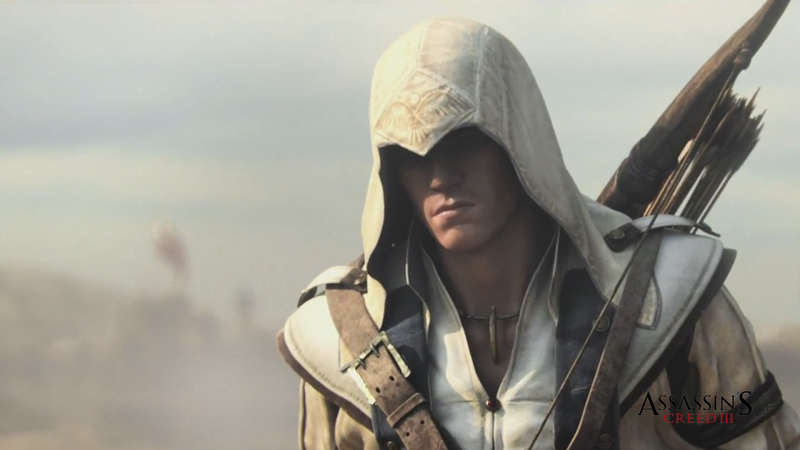 "Do I really want to finish Black Flag before AC3?" "Am I really ready for this grind?". The next day, I found myself on the path to completion. This time around the I enjoyed the game much more. I'm not sure whether I had a bleeding effect from Black Flag, but I found the game less annoying this time. Glitches were at a minimum this time, probably due to patches, but it wasn't without a few complications. One of the more nagging issues I ran into was when I was trying to complete the Encyclopedia of the Common Man. Everything went fine till I got to the Lumberjacks. At the end of the game its summer time, and I guess lumberjacks don't do much in the summer. I was able view them splitting logs, and their wife churning butter, but that was all. Other things I watched them doing was fishing, laying in a meadow and going to grab a drink at the tavern. Unfortunately none of this stuff counted. So I went online to see what I was suppose to be seeing. I was suppose to be seeing them saw a tree, but I wasn't seeing it, no matter what I did or how long I waited. I even turned on the 24 hour a day hack, and still all they did was smoke pipe, fish and lay in the meadow. I was so pissed, if I could have shot them I would have. But I finally found the fix, after viewing YouTube videos, I noticed the majority were all seeing this action during the winter, so I changed the whether using the hacks and sure enough, was able to view it. I guess lumberjacks don't cut down trees in the summer. Another thing that bugged me was that game you have to play in the homestead mansion. I don't remember the name of it but I tried completing this after all the homestead missions, so I never got to play against Achilles, but instead I was granted the enjoyment of playing against a priest (I guess). Every time I lost, over and over and over again. I wanted to reach out and stab him in the face cause dammit, I'm an assassin, why am I playing this damn game. The best news of the day, Hacks do not effect achievements ***If used correctly***. What I did was went through my sync memories and found an easy main mission memory I didn't complete (mine was saving one of the lumberjacks without touching water) so I saved it for last. Then I did all the rest of the main missions I needed to complete, with hacks on. No damage, no detection, assassinate anytime, etc. everything except for the tokens and time weather and lighting and thunder after kills, I used. This makes everything a breeze. After getting down to that one last mission as last one I needed. I turned off console, powered back on and loaded game. This time I didn't activate any hacks just loaded the mission and played it normally, after finishing it 100%, the 100% Main Mission Constraints cheevo popped. This can also be done on the secondary missions also (though little to no help on naval missions) just designate one last mission to complete without hacks and it pops also.